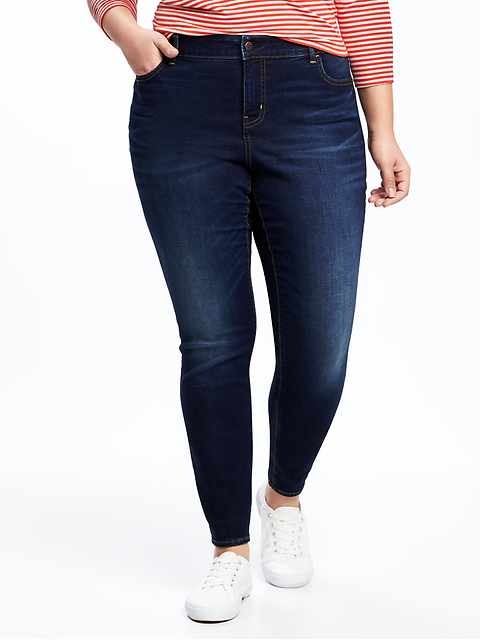 Find affordable plus size jeans in an array of styles. 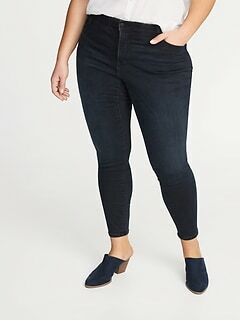 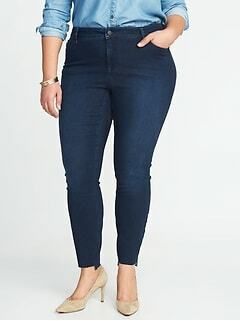 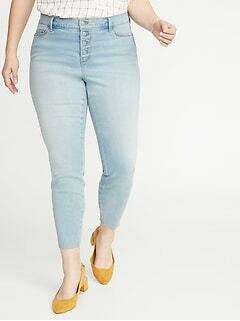 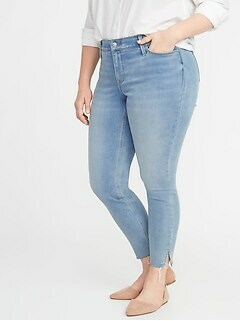 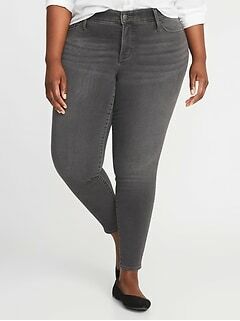 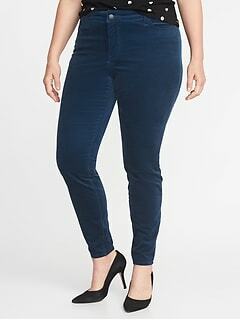 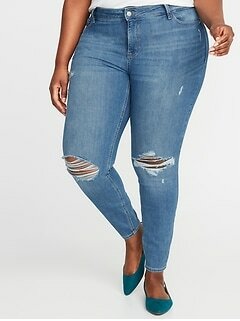 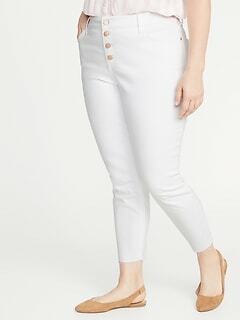 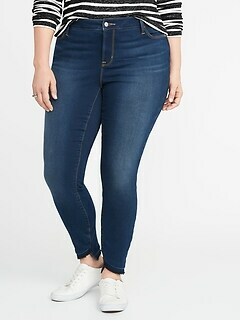 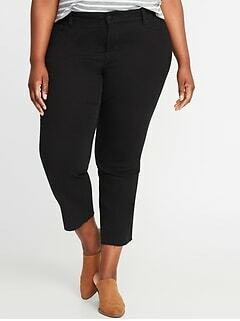 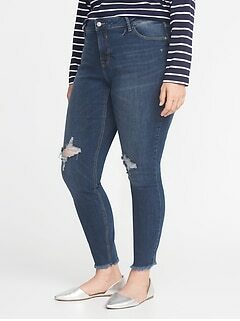 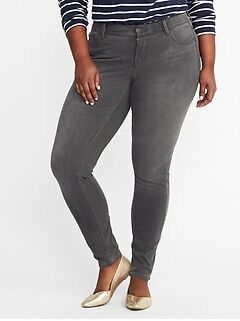 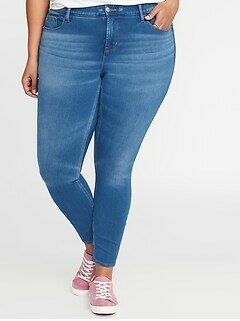 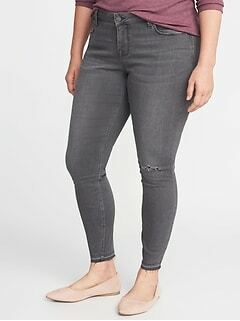 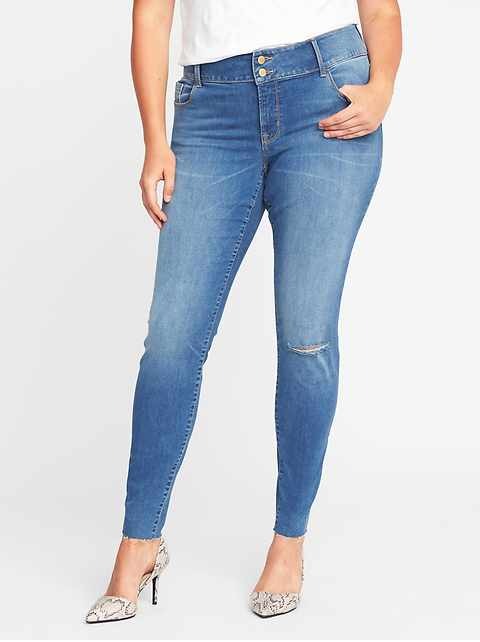 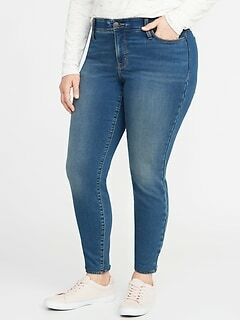 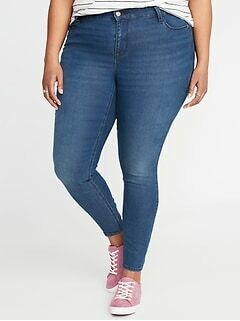 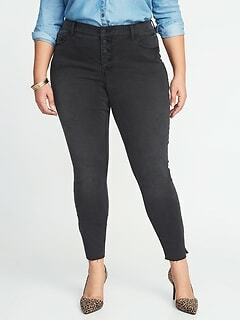 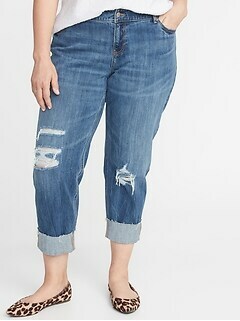 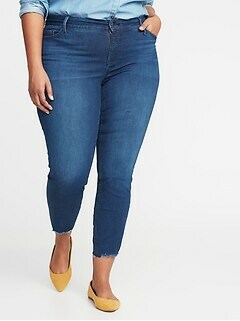 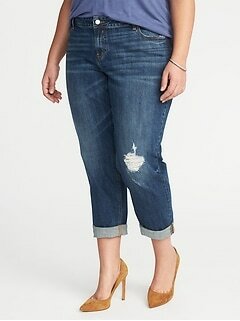 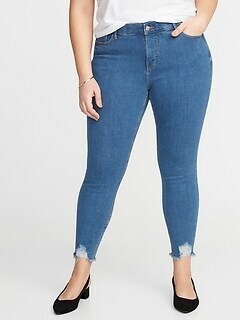 Low rise, super-flare, wide legs and more - it's all about fashion when it comes to discount plus size jeans at Old Navy. 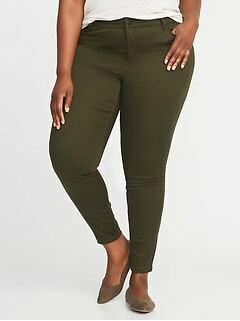 Cotton, polyester and spandex blends create a great fit for all shapes. 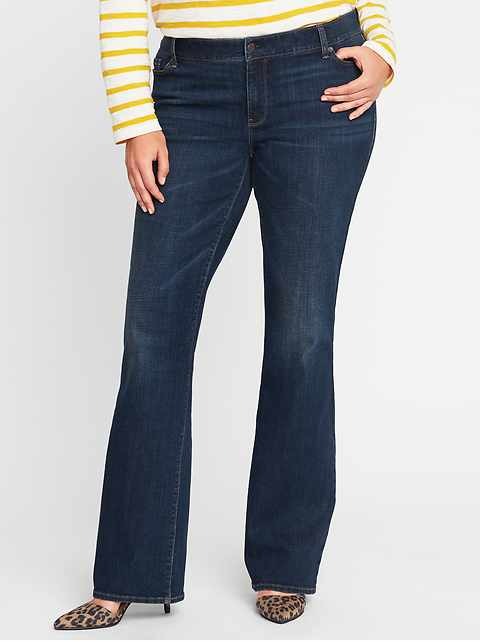 Style features such as a button closure and zip fly, side scoop pockets and a front coin pocket offer convenience as well as fashion. 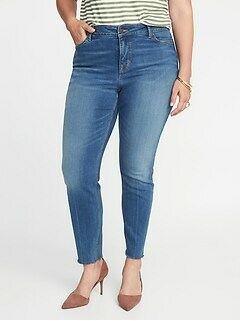 Patch pockets in back assure a smooth look in soft, stretchy, medium weight denim. 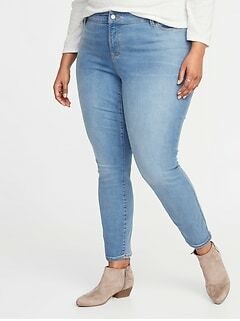 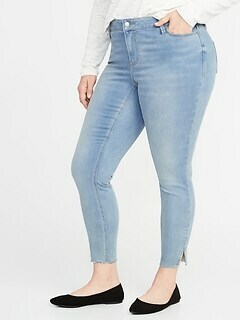 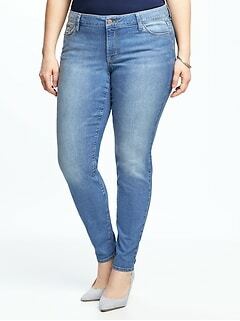 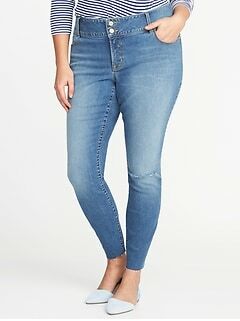 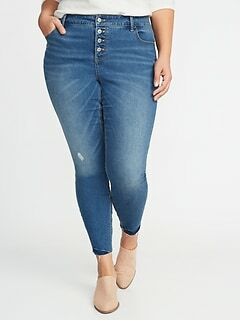 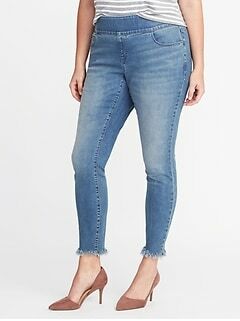 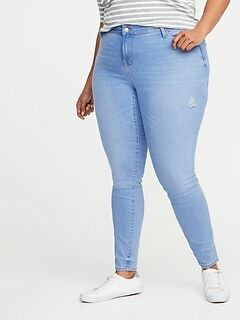 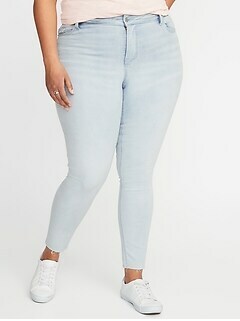 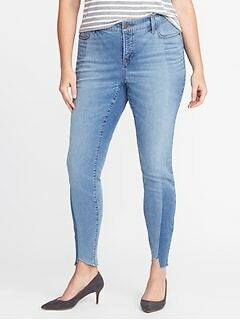 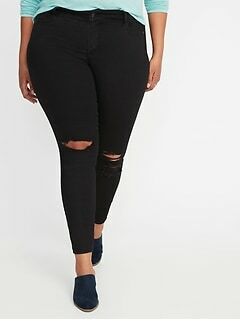 On the lookout for a plus size jeans sale? 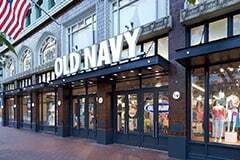 Try Old Navy, where trendy fashion meets affordability. 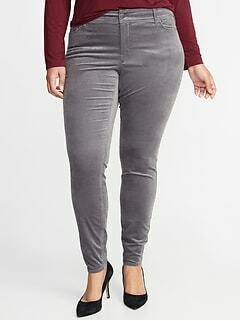 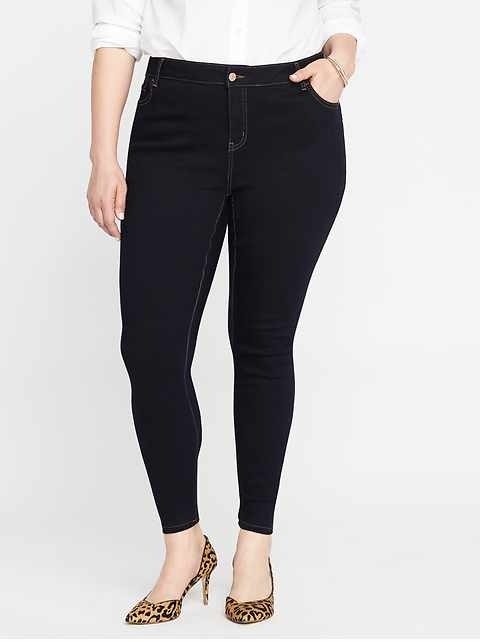 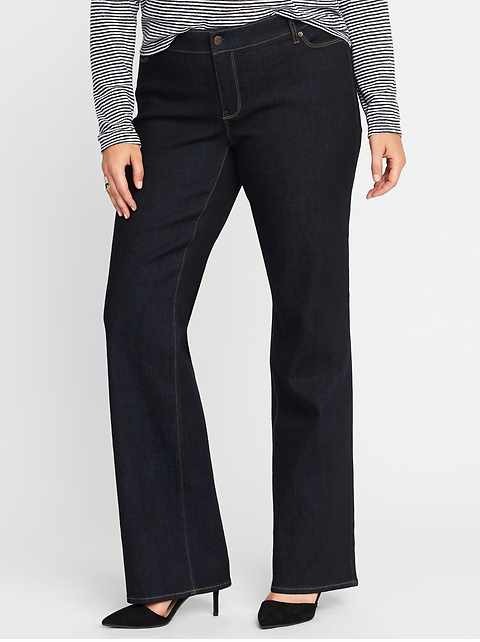 Browse inexpensive plus size jeans in a variety of comfortable, always flattering, great fitting looks. 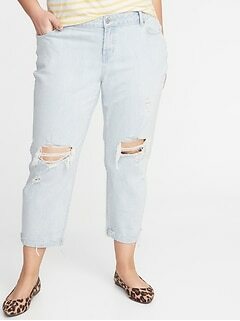 Get a lived-in look with patches, washes and other distressed details. 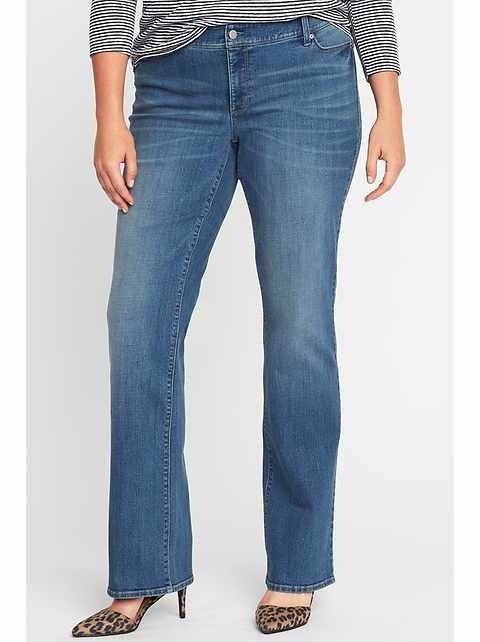 Go for a skinny leg or boot-cut leg, depending on your footwear choice. 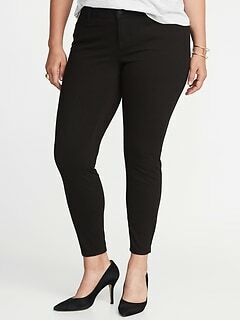 Dark, creamy and subdued color options let you mix and match with the rest of your wardrobe with ease.